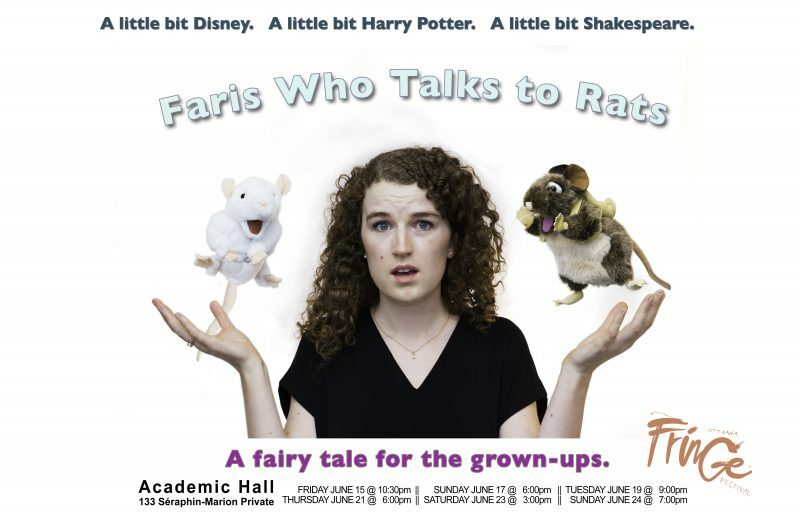 Premiering at Academic Hall as part of the 2018 Ottawa Fringe Festival, June 15th through 24th, Faris Who Talks To Rats is the fable of a young woman who finds herself drawn into a realm of magic as the only hope to stop a Dark Fairy from stealing the imagination and passion of all humankind. Faris Who Talks To Rats takes the fun and heart you love about every Disney and Pixar movie and imagines a world created for grown-ups, full of magic-eating zombies, Shakespearean fairies with apocalyptic relationship issues, and adorable, foul-mouthed rats. 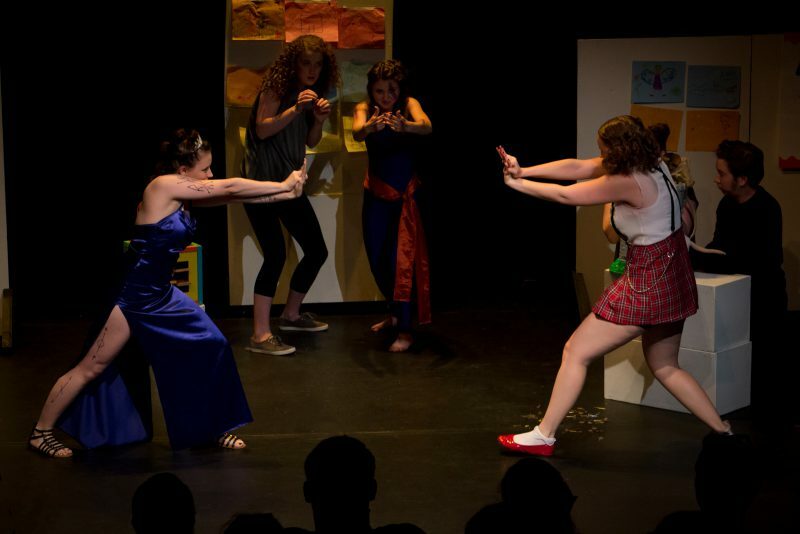 It’s a show about how we choose to live our lives, especially in the face of tragedy. It’s a show about having and finding something to believe in. It’s a show about forgiveness and moving on. Written and directed by Allan Mackey. Stage managed by Natasha Trepanier. Cast & crew bios at the other end of this link. Special thanks to: Lionel Gibson & Orleans Taekwondo, Patrice Forbes & Dead Unicorn Ink, Rachel Eugster, Lori Berketa, Lucas Mackey-Chalykoff, Melanie Pauzé, Yvon Pauzé, Ben Hoskyn, Brett & Anne-Marie Kelly, Louise Mackey, Tina Mackey, Penu Chalykoff, and Hugh Jackman, as well as, Kyle Ahluwalia, Katie Rochford, Patrick Gauthier, Amanda Logan, and the Ottawa Fringe Festival.